Integrated Pest Management, commonly known as IPM, is an approach to pest and disease management based on the knowledge of disease and pest life cycles and their interaction with the environment. It uses this knowledge to provide disease or pest control by the most economical means, and with the least possible hazard to people and the environment. IPM takes advantage of all appropriate pest management options, both preventative and curative. Scouting fields regularly to identify and monitor pests and diseases, is a big part of IPM. 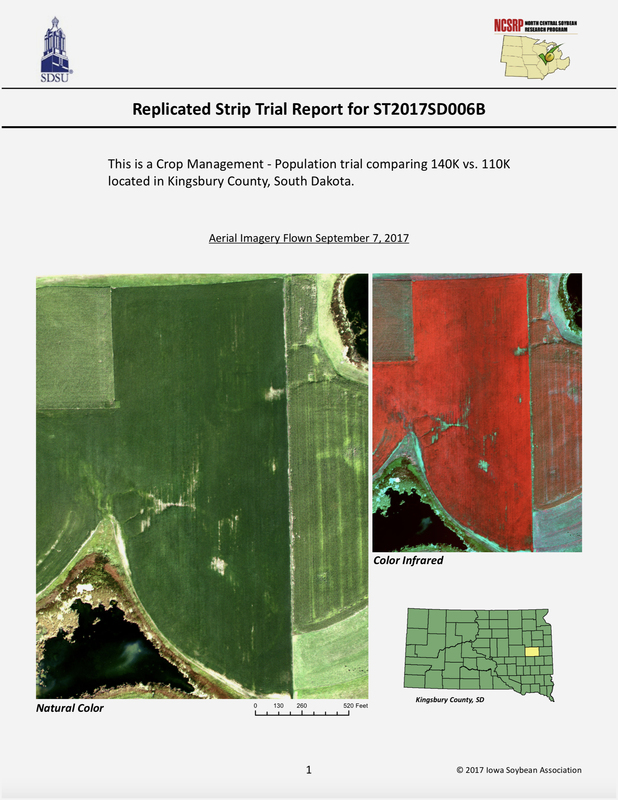 Accurate and timely scouting helps you to identify potential problems before they become less manageable, and will probably prevent unnecessary pesticide treatments. The information recorded during scouting aids in the day-to-day decision-making process, especially when combined with knowledge of pest life cycles and crop development. 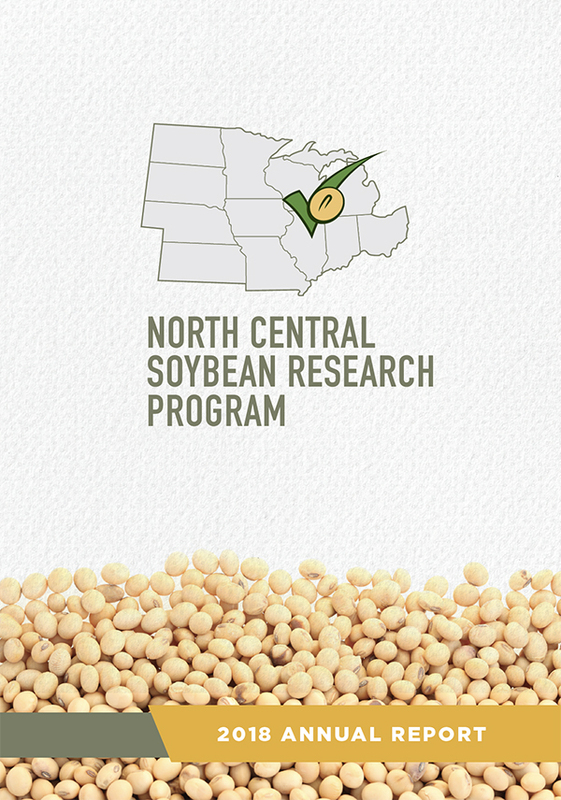 The field data obtained during scouting is also extremely useful when planning for the next growing season. Most growers know that the presence of a single pest does not always mean control is needed. Chemical controls should only be considered when insect populations or levels of disease have reached or exceeded a level that will cause economic damage if left untreated. This is called the economic injury level, or action threshold. Commercial growers must weigh the costs of their pest management strategies against the potential economic impact of each pest. The economic threshold is a population level of the pest slightly below the economic injury threshold, that allows sufficient lead time to implement control. 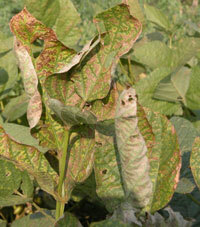 Economic thresholds have been determined for most of the major pests and diseases of soybean. With IPM, pest management occurs from pre-plant to post-harvest and is prevention-based. This includes using cultural methods, such as crop rotation, selecting disease-resistant varieties, and using good agronomic practices to encourage competitive crop growth. These control methods can be very effective and cost-efficient and present little to no risk to people or the environment. Once scouting and action thresholds indicate that pest control is required, and preventive methods are no longer effective or available, IPM programs then evaluate the available control method both for effectiveness and risk. Effective, less risky pest controls are chosen first, including highly targeted chemicals, or mechanical control, such as trapping or weeding. Broadcast spraying of non-specific pesticides is usually a last resort. 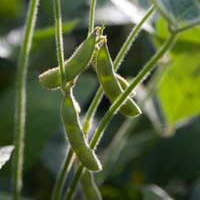 Recognize the symptoms of brown stem rot if it occurs, and use this information when planning next year's crop.